To join All Pro's driving ​force, click below! To become a preferred ​carrier, click below! All Pro Freight was founded in Cleveland, Ohio, in 1990 as a truckload services company. Over the years, as the needs of our customers evolved, so too have our services. We’ve grown to provide trusted, full-service transportation and logistics management solutions. Our business model is market-driven. We remain close to our customer base and work to implement strategies to help them operate at their very best through smart transportation solutions and innovative thinking and technologies. Our team at All Pro Freight is committed to continuous improvement as we work to refine and perfect the process of getting product delivered to the customer on time, with consistency and safety, while driving down costs. We are committed to giving back: Our team is dedicated to ongoing involvement that helps to make our community a better place to live and work. Let All Pro Freight help streamline your operations, manage your everyday transportation needs — and drive your success. A leading provider of end-to-end supply chain and transportation solutions since 1990, All Pro Freight Systems has built our reputation as a reliable freight-solutions resource. We partner with our customers, providing customized transportation management services that help them increase efficiency and productivity while driving bottom-line profits. Local Cartage: A fleet of local tractor trailers and straight trucks provide efficient, same-day delivery to your customers, up to a 150-mile radius of Cleveland. Contracted by the hour or by the load, we provide delivery solutions that meet your deadline and budget. our single source customers is one of our proudest achievements. 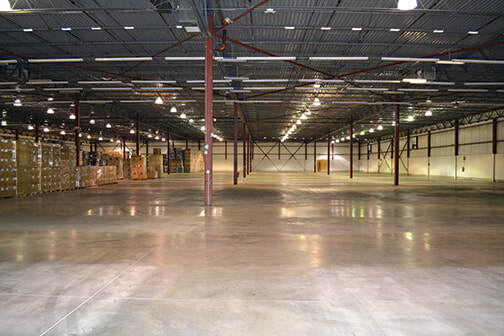 • Approximately 1,000,000 square feet in North East Ohio and Central Florida. ​Another growth area for our company has been in the arena of Volume LTL Distribution. With escalating LTL rates from the common carrier sector, we have found a niche in providing relief to our customers by combining larger LTL shipments and forming truckloads with stops offs. This eliminates unnecessary handling at break centers, as the shipments are delivered in transit. Reduced transit times are often an added benefit and the result of direct routing. If there is any value in reducing transit times, lowering costs and virtually eliminating damage, consider All Pro Freight Systems today. ​​All Pro Freight Systems, Inc.
Regional-(500 miles or less, Company Drivers) - Primary lanes NE Ohio to IN, MI, NY, WV, PA, VA ($.40/mi. on loaded and MT miles). Majority of Backhauls are right back to NE OHIO - Getting Home is not an issue! Dispatch (From NE OHIO) is done on a FCFS basis once you are empty and is semi-forced as you are offered the freight that is available when you call in empty. You may be offered an OTR or Regional Load, depending on availability and/or need. In order for All Pro to work for you, you must be willing to take both. If you are only interested in long trips and not willing to take short haul as needed, this is not the place for you. Drivers that go out of service with an All Pro trailer will be charged $25.00 per day after 2nd day. Any extended out of service, equipment needs returned to our location in Avon, OH. We value and appreciate our customers, so feel free to visit any one of our locations during normal business hours. 2625 Jewett Ln. ​& 2640 W. Airport Blvd. © 2017 All Pro Freight Systems, Inc. All Rights Reserved.